It wasn’t until 1793 that the first five pound note came into existence. 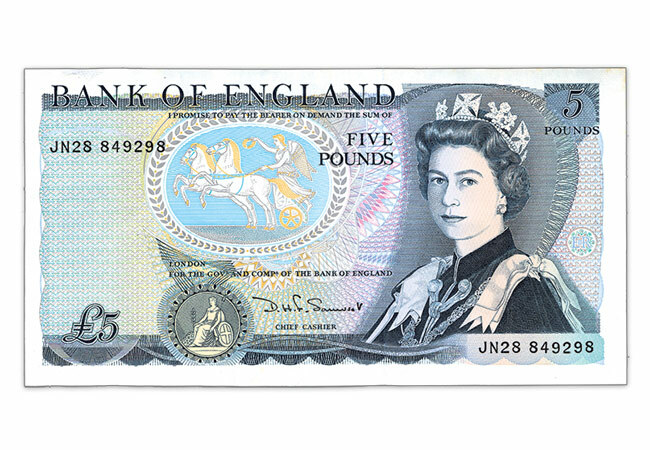 The £5 denomination, known as the ‘white fiver’ lasted with relatively few changes until 1956 when it was last issued and replaced a year later with a new blue five pound note. The banknote was changed primarily to combat forgery following ‘Operation Bernhard‘ – a huge German war effort which took place during the Second World War and saw around 9 million fake notes printed. 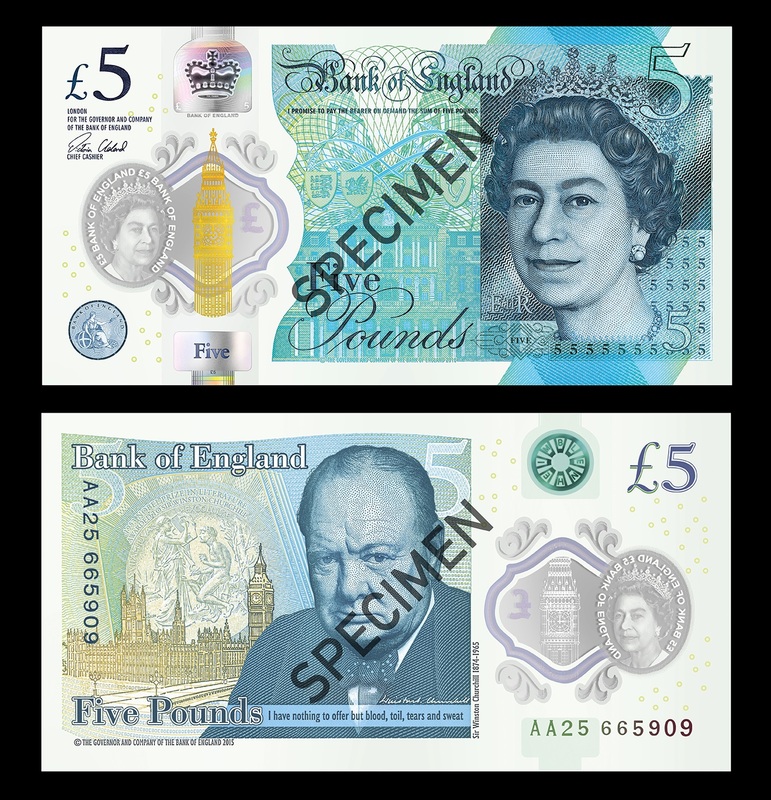 Of course, there have been numerous changes to the £5 banknote since then, from different designs, sizes, colourings and security features. In 1970 a new series of notes were designed, each featuring an historical figure on the back. Portraits and highly detailed machine engraving blended into historical scenes making the new notes more difficult to copy. The 1971 £5 Banknote. Designed by Harry Eccelston OBE, the Bank of England’s first full time Artist-Designer. On 13th September 2016 a brand new banknote will enter circulation featuring the portrait of much-loved Prime Minster, Sir Winston Churchill . However, this new fiver is unlike any we have ever seen before – it’s printed on polymer. Polymer notes are made from a flexible plastic, which is resistant to dirt and moisture, which means they will last longer and are better for the environment. The new note has a number of security features including a see-through window and foil Elizabeth Tower – which is gold on the front and silver on the back. It also features multiple holograms and micro-lettering under the Queen’s portrait – which can only be viewed under a microscope. You have until May 2017 to spend your current £5 notes, after that they will cease to be legal tender – but will still be exchangeable at the Bank of England. What do you think about the new era of plastic banknotes? Let us know in the comments below. 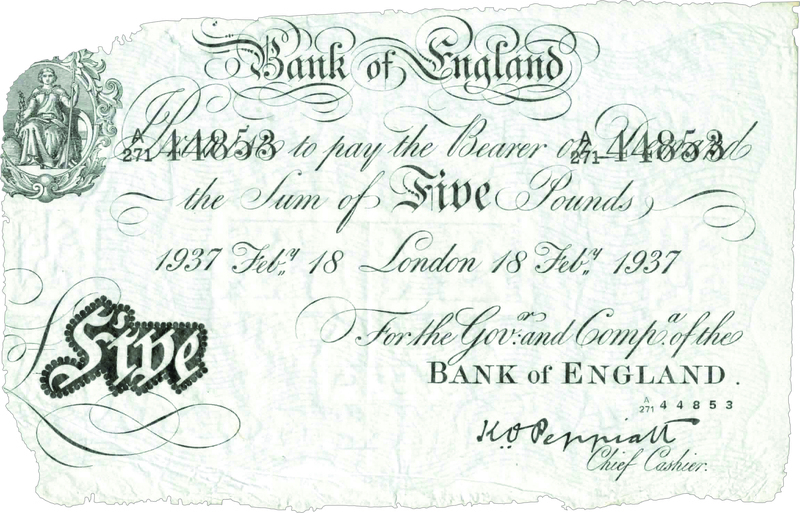 You can own Britain’s most famous banknote… in silver! In a remarkable feat of craftmanship the White Fiver banknote has been re-isued in fine silver – and you can add one to your collection today. 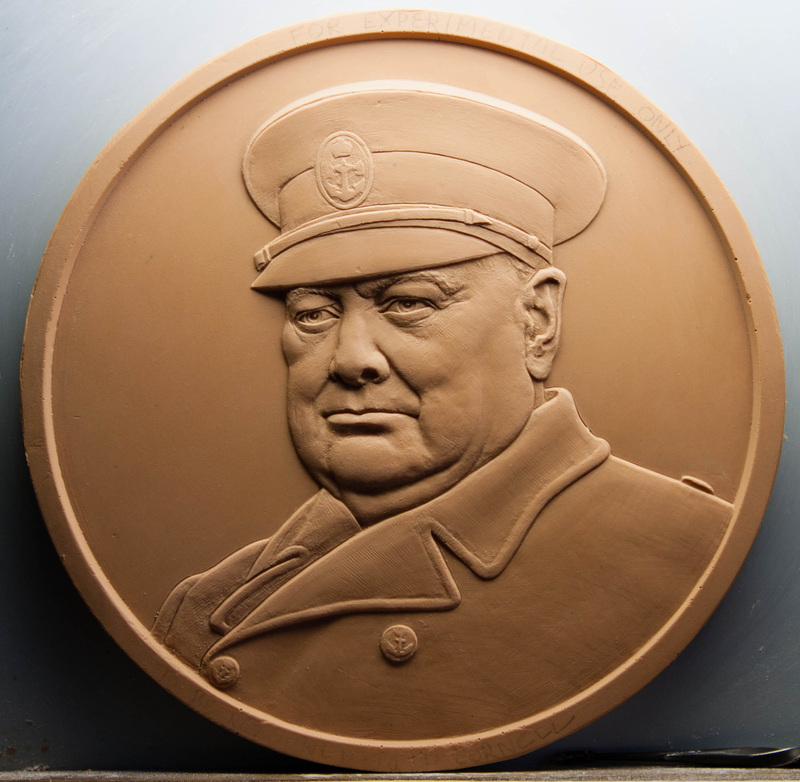 This year a brand new £5 coin has been issued to commemorate Sir Winston Churchill, and it features a never-seen-before effigy of the great man. 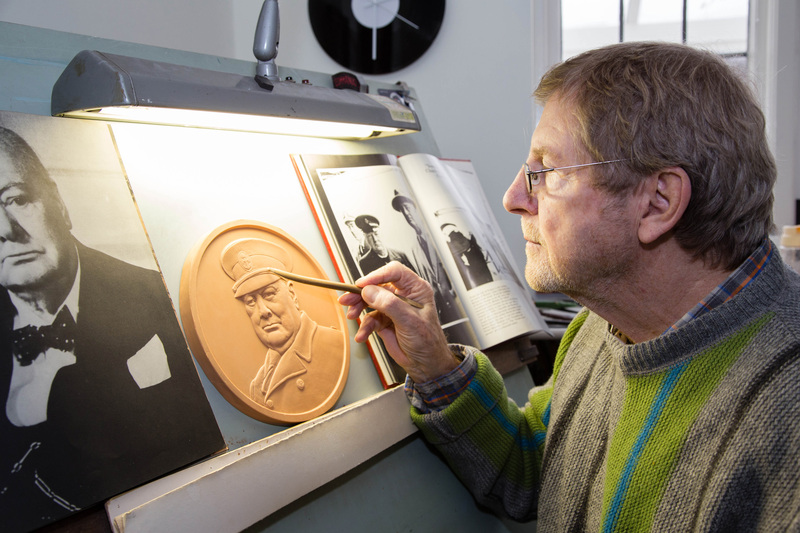 Designed by renowned sculptor and artist David Cornell FRSA, the new portrait shows a defiant Churchill in military uniform. I’ve been given a behind the scenes look at the creation of the portrait, and had a quick chat with the artist himself. “Winston Churchill was a major part of my childhood growing up in London during the War, hearing his speeches and seeing photos on posters, which left an indelible impression on me. “I realised later what a great man he was and his contribution to the War effort, inspiring the people of Great Britain. First of all Cornell worked on a plaster engraving of the portrait, making sure it fits the very particular dimensions of a coin. You can see the fine detail in the picture above, and also the large size of the plaster, which has to be reduced when the die is created to strike the coin. 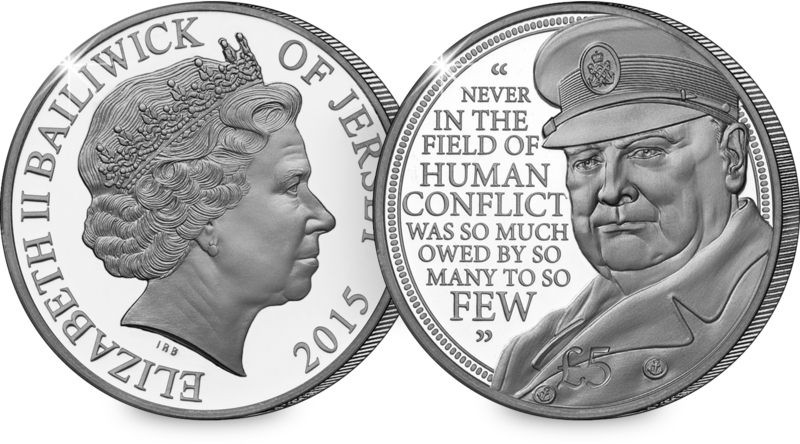 The finished £5 coin also features an inscription of one of Churchill’s famous speeches: ‘Never in the field of human conflict was so much owed by so many to so few.’ Although spoken in reference to the heroes of the Battle of Britain, the quotation was chosen as it represents Churchill’s indomitable spirit during the war. The coin has been issued on behalf of the Bailiwick of Jersey, and is available now in a range of metals – from an impressive 5oz 22 carat gold version measuring 2 1/2 inches in diameter, to a highly collectable cupro-nickel version available to all. I’m sure you’ll agree, it will make a fitting tribute in any collection to our greatest ever Prime Minister. The new Winston Churchill £5 Coin is available now in a special limited edition Proof version. Complete with Presentation Case and Certificate of Authenticity.